North Node Axis in Scorpio – The South Node in Taurus and the North Node axis in the Eighth House – The South Node in the Second house. The SOUTH NODE IN TAURUS make you feel in a comfort zone enjoying the pleasures of life and not doing anything special. In other words, you have the experience of letting things go without having to change something essential in your own lives. Searching for comfort has always been the main directive. By maintaining comfort, the self-reliance of the material world is inevitably created.Then you look at the traditional ruler of the sign of the South Node – VENUS. The placement of this planet in your natal chart shows how you tend to react to keep yourself in the comfort zone of the South Node. NORTH NODE IN SCORPIO you amplify the qualities of this sign, and especially of the planet that traditionally ruler the Scorpio, MARS, so you are concerned (obsessed) to open your heart to the need for transformation, change and regeneration. You may have difficulties in partnerships because you are blind to the values of others, expecting them to share the same values as you do. You, in fact, not only need a partner, you need to learn the value of true partnership and intimacy. The overcoming of the seemingly solid and stable material world may seem intimidating. Your release of material attachments and doing things in your own way will help you to find inner balance. Then you look at the traditional ruler of the sign of the North Node – MARS. 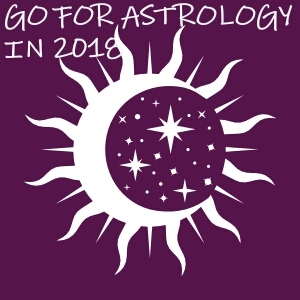 The placement of this planet in your natal chart shows how you tend to act to get out of the comfort zone by learning some outstanding lessons and to fulfil your mission. The next month I will post an article about North Node in Sagittarius and South Node in Gemini and/ or North Node in Ninth house – South Node in the Third house.